I-275, Exit Lawrenceburg/Greendale/Aurora, L on US 50, L SR 56, rt Old SR 56, to Hartford Pike, L Smiley. Must see! 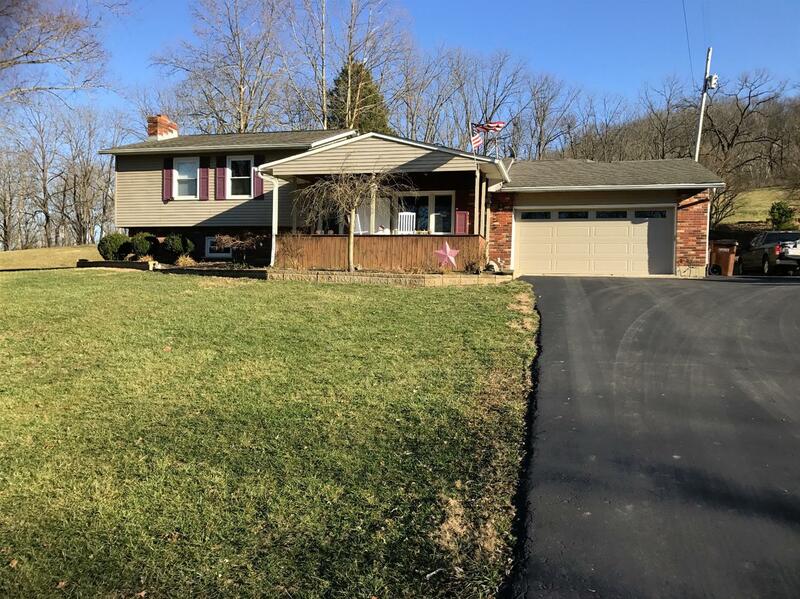 Dynamite remodeled country home on 9.7 acres features open concept LR/DR/Kit w/hardwood flrs,updated cabinetry, huge granite island bar, butler pantry, built-in office area, lg Mstr Ste w/whirlpool bath, relaxing covered outdoor entertainment area w/rock FP & waterfall, hot tub & TV, 40x48 pole barn w/horse stalls, many walnut trees.